 Loudness describes the space’s ambient or background sound level (just like the loudness or volume of a stereo). We have all been in loud and quiet spaces before so can easily relate to this concept. Interestingly, sound breeds louder sound. This is called the ‘Café Effect’ (also known as The Lombard effect) which describes how people tend to talk above each other to be heard. When someone lifts their voice, their extra sound energy increases the ambient volume of the room which, in turn, makes people speak up even further. In this way, loud spaces breed louder spaces.  Volume is typically not a term used in the Acoustic industry. Instead the more scientific and correct term, Sound Pressure Level (SPL), is used. See the Key Terms section below for more information on this. Privacy describes the ability, or lack of it, to hear people’s conversation or to have other people overhear yours. Speech privacy can be importantspecifically if the conversation is of a sensitive nature,but more generally, as users of a space with a low speech privacy can feel uncomfortable. 'dead' (like a recording studio). And is measured in Reverberation Time, the time taken for the sound to decay to not being heard. Reverberation is impacted by the physical volume of the space and the material treatment that make up the surfaces. If you think of the school gymnasium example: it is a large space with hard and reflective materials (timber, glass and metal). These hard materials are 'reflective' because less energy is absorbed when sound bounces off the surface. These reflective surfaces mean that sound can be heard travelling for longer and so the space sounds more ‘echoey’ or reverberant. In contrast, the recording studio example has a much smaller physical volume and is clad in soft, absorptive materials. These materials absorb sound, meaning that less sound energy is reflected back into the room. The small physical volume of the space also means that sound waves do not travel far before hitting another surface and losing more energy. The coupling of these two features mean that the sound can be heard travelling around the room for less time, therefore making a more muted or dead space. - We need some more definitions here of links/new window opening for this one. Clarity describes, as it name suggests, how clear the sound is. It ranges between clear and muddy, and is impacted by the proportion of ‘early' and ‘late’ sound wave energy. Early energy is deemed to be energy received by the listener less than 50 milliseconds after the energy is created by the source. Likewise, late energy is sound energy received more than 50 milliseconds after the energy is created by the source. The 50 millisecond mark is an important threshold of the human ear for speech where energy before it will reinforce the tones and clarify of sounds, and anything after it will start to echo or muddy sound. - 80 milliseconds is the threshold for music.  Loudness, privacy, reverberation and clarify are four measures that describe the qualities of a space’s sound. On the axes, the further away from the centre origin, the more extreme that measurement is (the more loud, the more private, the more reverberant or the less clear). From these axes a conversation of the important design criteria can be had. However, increasing one, often has implication for the others. This short section will explore how these measures are related. In this space, the reverberation is high which means that more energy is spent travelling around the room. This increases the loudness due to the Café Effect (people talking over each other) but decreases the clarity. This decrease in clarity is because of the slurring of words due to the live reverberance. Privacy is also high, this is because of the low clarity, meaning that it is harder to hear other’s conversation and for them to hear yours. In this space, the reverberation is low which means a ‘dead’ room with less energy travelling around the room. This typically decrease the loudness as the Café Effect is less prominent but increases the clarity as predominantly early energy is being received. Privacy is also low in this example as clarity is high, meaning that it is easier to hear other’s conversation and for them to hear yours. Sound makes up a major influence of our surroundings and stimulus on a day to day level. One would not need to look further than a walk to school or work to hear a symphony of sirens, chatter and music that we live amongst. However, we normalise sound or noise around us and so tune it out, until something out of the ordinary (normally unpleasant) draws our attention. Acoustics is often an underrated design consideration as effective acoustics tend to be normalized and not noticed, leaving only poor acoustics to draw our attention. However, considering the massive impact that sound has on our daily lives, what environments should we or could we create? This background sets the scene for exploring answers to these questions, setting out the key acoustic concepts and measurements that are required to do so. Beyond our normalisation of sound, sound’s intangible nature makes it really hard to grasp and therefore appreciate - if we cannot imagine it, grasp it, how can we understand it? This overview uses the metaphor of light to help explain sound. Light energy travels around a room similarly to sound energy, yet we can all understand a dark room vs a light one. This visualisation of acoustics is an over simplification of the sound as light travels at one frequency, where as (as we now know) there are many different sound frequencies which influence how it travels and interacts with surfaces/objects. However, we are getting ahead of ourselves. When forming spaces, it is important to consider reflections. Flat and shiny surfaces reflect sound much like a mirror does light. Just like in the meat section of the supermarket, if two mirrors are sat facing each other, multiple reflections are seen.  Similarly, if two surfaces are parallel then sound energy can be reflected back and forth creating a ‘flutter effect’ that decreases the speech intelligibility. The distance between walls is significant as the further the sound travels between the walls the longer it takes before it is received back at the starting location. As we know, if this time is received more than 50 milliseconds after the direct sound, it is heard as an echo which muddies clarity and speech articulation. absorb sound, meaning that less sound energy is reflected back into the room. The small physical volume of the space also means that sound waves do not travel far before hitting another surface and losing more energy. The coupling of these two features mean that the sound can be heard travelling around the room for less time, therefore making a more muted or dead space. - We need some more definitions here of links/new window opening for this one. Material treatment is one way of decreasing this muddying effect as different materials absorb, transmit and scatter sound differently. Sound energy that hits absorptive material is decreased as energy is absorbed by the material and converted from sound energy.  Sound can also be scattered by a material, much like the way that light is reflected off a rough or matt surface. Matt surfaces have a high scattering coefficient due to their dimpled surface so light is reflected over a less condensed area and no image is seen. This occurs with sound as well, however, due to the different frequencies there is a variety of scattering. Furthermore, each material has a unique signature which is called its absorption and scattering coefficient.  These coefficients are important to consider when designing the treatment of a particular frequency of sound. To increase the transfer of sound between two points it is important to maintain a clear line of sight. Much like trying to see through an obstacle, high frequency sound will be reflected off any obstruction resulting in a muffled result. Furthermore, to preserve acoustic condition it is important to isolate the space from exterior sources. This means that exterior noise such as road or plant noise should be monitored and reduced. Sound Pressure Level is the pressure created by a sound wave, but is more commonly understood to be how loudly something is heard, its volume. The SPL can be measured in dB or dBA, with the dBA or A-weighted, SPL being weighted to the frequencies that humans hear louder.  Decibels are centred around the human ear with the reference value, 0 dB, the quietest sound we can hear (Barron 11). To put this measure in context, conversational speech has a level of around 50 dB, while a very loud sound of 120 dB causes pain in the ears (Barron 11). 1.0 is high speech intelligibility (STI) that results in clear speech. a STI of over 0.75 is often a goal as the higher the STI, the clearer the speech equating to roughly 75 of 100 words being heard. The Reverberation Time (RT) is defined as the time for the sound level to decay to one millionth of its energy, or commonly understood as the time to decay 60dBA (Barron, 28). Barron states that if the RT is too long “one sound can be rendered inaudible (i.e. masked) by an earlier louder sound” (Barron 18). This masking leads to a 'muddy' impression of the space and a decrease in Speech Intelligibility. However, designing with RT is a balancing act, with Barron continuing to say that with a too short RT “the sound quality becomes too stark, like listening in the open air” (Barron 18). Balancing these two extremes is one example of how acoustic design informs design direction. The longer this RT, the longer sound energy is reflected around the room. In a recording studio, there is an emphasis on reducing reflections as much as possible and so the RT is very short, 0.2 seconds. Compare that to the potential 2.5 second RT of a concert hall - a significantly more live environment. Classrooms and lecture theatres are somewhere in the middle with a RT of roughly 0.4 to 0.6 seconds. This recommendation helps project the speaker’s voice while limiting late reflections that could decrease the clarity. Barron, Michael. Auditorium Acoustics and Architectural Design. 2nd ed. Hoboken: Taylor and Francis, 2009. Print. Whitlock, James, and George Dodd. “Classroom Acoustics—controlling the Cafe Effect… Is the Lombard Effect the Key.” Proceedings of ACOUSTICS, Christchurch, New Zealand (2006): 20–22. Print. Wikipedia. "Speech Transmission Index." Wikimedia Foundation, 03 May 2017. Web. 08 May 2017. .  Figure 6 - Acoustic Surfaces. Digital image. Sound and Vision. N.p., n.d. Web. 9 May 2017. . Figure 7 - Eijdems, H., & Nieman, H. M. Handboek bouwfysische kwaliteit voor kantoren. Arnhem: Nederlands Vlaamse Bouwfysica Vereniging, 2011. 67. Print.